Rajendra S. Sisodia, Ph.D., is Professor of Marketing at Bentley University, and was previously Trustee Professor of Marketing and the Founding Director of the Center for Marketing Technology. A leading figure in the Conscious Capitalism movement, he is also the Founder and Chairman of the Conscious Capitalism Institute. An electrical engineer from BITS, Pilani (India), Dr. Sisodia has an MBA in Marketing from the Bajaj Institute of Management Studies in Bombay, and a Ph.D. in Marketing & Business Policy from Columbia University, where he was the Booz Allen Hamilton Fellow. His research, teaching and consulting expertise spans the areas of conscious capitalism, corporate strategy and leadership, globalization, stakeholder management, marketing strategy, marketing ethics, relationship marketing, and measuring and improving marketing productivity. In 2003, Dr. Sisodia was cited as one of “50 Leading Marketing Thinkers” and named to the “Guru Gallery” by the UK-based Chartered Institute of Marketing (the largest marketing association in the world). In 2007, he was honored with the Award for Excellence in Scholarship by Bentley University. In 2008, he received the Bentley University Innovation in Teaching Award. He was recently chosen as one of ten “Outstanding Trailblazers of 2010” by Good Business International, and one of 2010’s “Top 100 Thought Leaders in Trustworthy Business Behavior” by Trust Across America. Dr. Sisodia’s book Firms of Endearment: How World Class Companies Profit from Passion and Purpose (with David Wolfe and Jagdish N. Sheth, Wharton School Publishing, 2007) has been translated into six languages and was named one of the best business books of 2007 by several organizations, including Amazon.com. His book The Rule of Three: How Competition Shapes Markets(with Jagdish N. Sheth, Emory University) was published by the Free Press division of Simon & Schuster in 2002, and has been translated into German, Italian, Polish, Japanese and Chinese. It was the subject of a seven-part television series by CNBC Asia, and was a finalist for the 2004 Best Marketing Book Award from the American Marketing Association. Other books include Tectonic Shift: The Geoeconomic Realignment of Globalizing Markets (with Jagdish N. Sheth, Sage Publications, 2006) and Does Marketing Need Reform? (co-edited with Jagdish N. Sheth, M.E. Sharpe, 2006). Forthcoming books include The 4As of Marketing (with Jagdish N. Sheth), A Roadmap for Conscious Capitalism (co-edited with Shubhro Sen), and Conscious Capitalism (with Whole Foods CEO John Mackey). Dr. Sisodia has also published over one hundred articles in publications such as Harvard Business Review, Journal of Marketing, Journal of Public Policy & Marketing, and Journal of Business Strategy. He has authored book chapters on “Consumer Behavior in the Future,” “The Future of Marketing Education,” “The Impact of Information Technology on Relationship Marketing” and “The Future of Marketing.” He has also written over two dozen cases, primarily on strategic and marketing issues in the telecommunications industry, as well as authored a number of telecommunications industry and company analyses. His research reports titled The Consolidation of the Information Industry (with Jagdish N. Sheth) and The Future of Wireless Communications (also with Jagdish N. Sheth) have been published by the International Engineering Consortium. 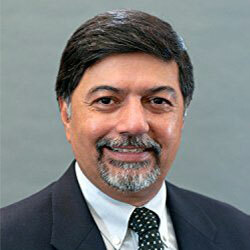 Dr. Sisodia is listed in Who’s Who in America and Who’s Who in Finance and Industry. He writes frequently for the Wall Street Journal, and his work has been featured in The New York Times, Fortune, Financial Times, The Washington Post, The Boston Globe, Christian Science Monitor, The Economic Times, Upside and numerous other publications, radio shows and television networks such as CNN, CBC and Fox. His research has been cited in over sixty professional books and numerous academic articles. He has been interviewed on the American Public Radio national business programMarketplace, and appeared regularly with Steve Pearlstein of the Washington Post on the programsPublic Interest and One Union Station on National Public Radio, discussing business issues. He is on the editorial board of several journals, and was previously the Associate Editor of the Journal of Asia Pacific Business. He has served as reviewer for Journal of Marketing, Journal of Retailing and other leading marketing journals. Dr. Sisodia was co-founder and Chairman of adAlive, Inc. (a VC-financed company in Waltham, MA) from March 2000 to June 2002. He has consulted with organizations and companies in the information technology, telecommunications, electric utility, real estate, healthcare and financial services industries. He has taught in numerous executive programs in the United States, Canada, the Netherlands, Germany, Chile, Dubai, Singapore, South Korea, Hong Kong, India and England. Consulting and executive education clients have included AT&T, Nokia, Rabobank, KPMG, Ericsson, Siemens, Sprint, MCI, BellSouth, Bell Atlantic, Volvo, Northern Telecom, American Management Systems, Bellcore, IBM, Price Waterhouse, Perot Systems, Ernst & Young, Telecom Italia, Southern California Edison, United Nations, World Bank, Internal Revenue Service, US Postal Service, and the Commonwealth of Virginia. A frequent and popular keynote speaker, Dr. Sisodia has made nearly 300 presentations at leading universities, corporations, non-profits and other organizations around the world. He currently serves as a member of the Board of Directors at Mastek, a publicly traded IT services company based in Mumbai, India. He is also on the Board of Trustees of Conscious Capitalism Inc., a non-profit based in Austin, TX. To read more about Dr.Sisodia, visit his personal site.